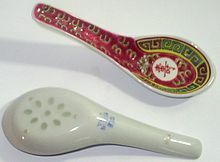 Non-Sino-Vietnamese reading of Chinese 匙 (“spoon”; SV: thi). Compare chìa. This page was last edited on 25 April 2018, at 07:56.